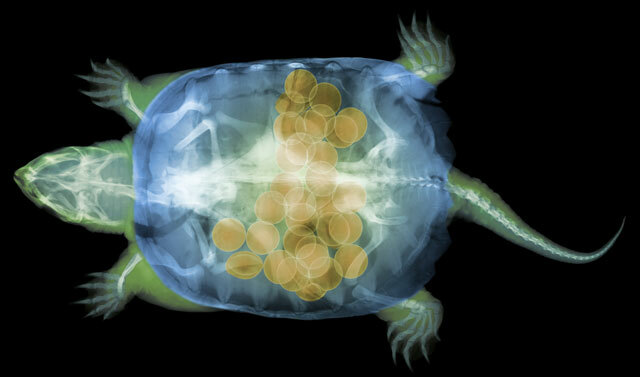 When Ted Kinsman picked up this specimen on the side of the road one spring morning, he was hoping to get a good X-ray image of a snapping turtle. 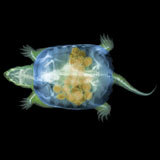 But after he placed the turtle in the X-ray machine, Kinsman was surprised to see it had about 30 eggs hidden inside. 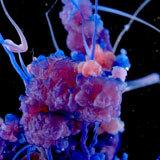 He added false color to the image to accentuate them. A professor of photographic sciences at the Rochester Institute of Technology, Kinsman has been capturing images of local wildlife for the past decade--sometimes living creatures, but more often dead ones, like this expired turtle. His students aren't surprised, he says, to find road kill in his lab's freezer. 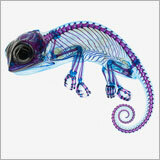 Photographer Elizabeth Marchiondo doesn't often have the opportunity to handle organisms as delicate as this chameleon. "I'm used to photographing live aquarium scum through a microscope or wading through a lagoon to capture specimens," she says. So Marchiondo was delighted when zoologist Andrew Gillis donated the deceased creature to the lab where she was a microscopy intern. 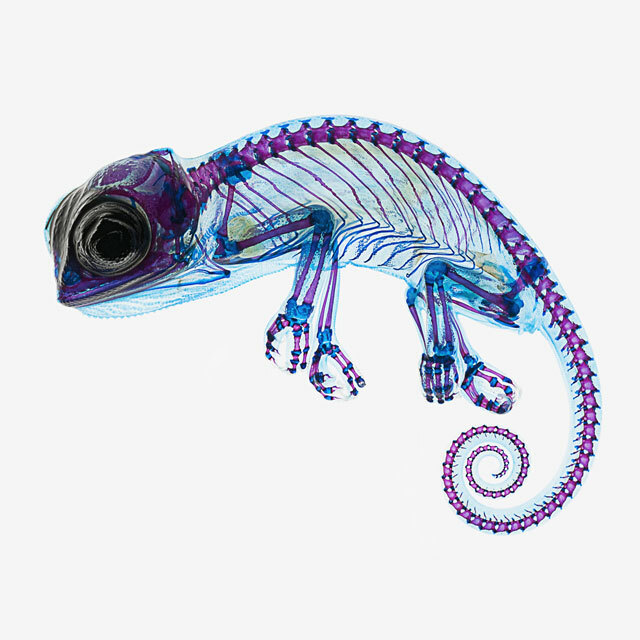 Gillis had prepped the chameleon by dipping it in chemicals that rendered its skin and muscles transparent, then stained its bones and joints with dyes. Because it was a three-dimensional subject, Marchiondo focused her digital camera on different planes of the chameleon's body and then stitched 32 images together to create a single, crisp picture. Last spring, London neuroscientist-turned-cartoonist Matteo Farinella published Neurocomic, a graphic novel about a man who falls into a brain. 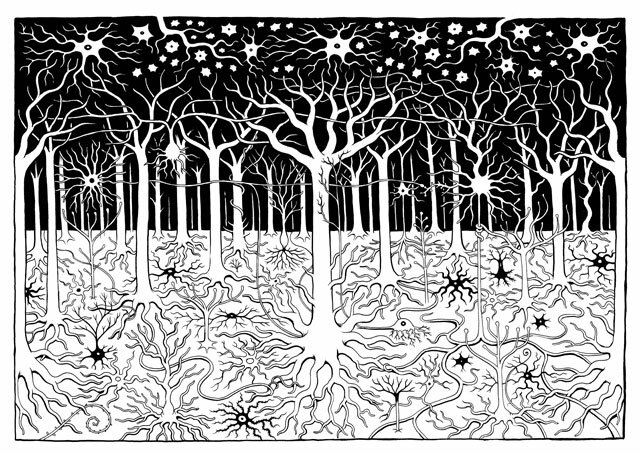 In this illustration from the book, Farinella uses a forest metaphor to depict brain cells and neurons as a dense, sprawling network of intertwined tree roots and branches. "The brain is very complex--there are billions of neurons connected in ways that we are only beginning to understand," Farinella says. 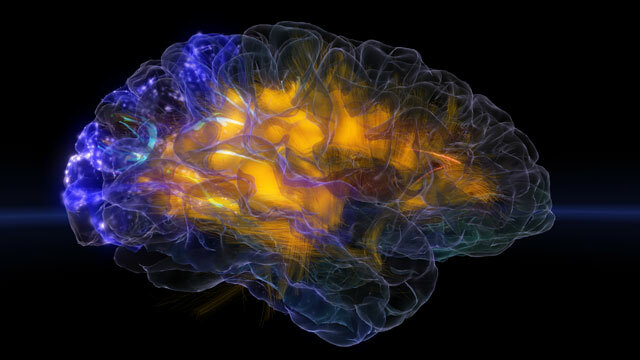 Paul Lipton, a neuroscientist at Boston University, notes the image illustrates the brain's structural diversity. 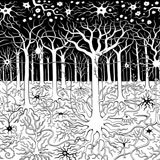 "The brain is indeed a forest," he says, "whose trees, or neurons, are its defining feature." 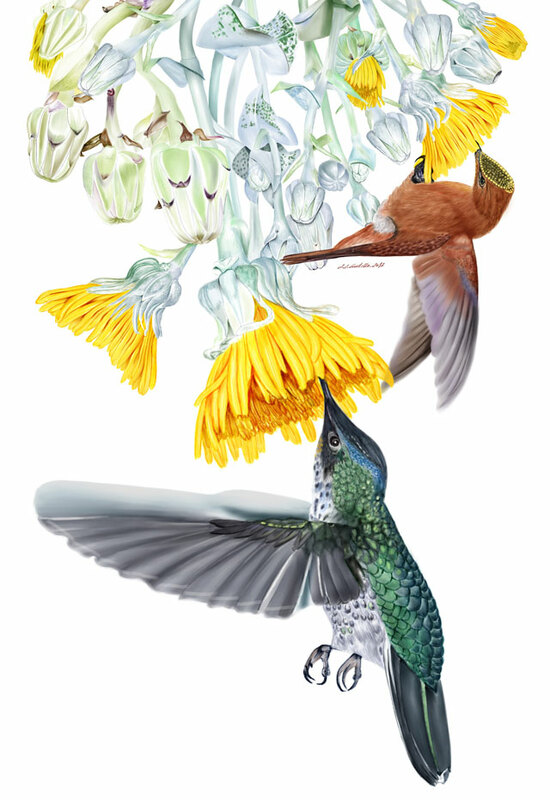 A pair of endangered hummingbirds -- the cinnamon male and the emerald female -- feed off an equally imperiled tree. 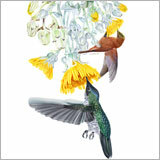 Both species live only on an island off Chile's coast. One of the most prominent structures in the brain, the hippocampus plays an important role in acquiring memory for certain everyday facts -- semantic memory -- and in holding onto autobiographical memories--episodic memory. It also looks a lot like a seahorse. 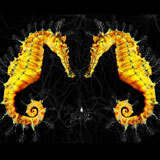 (Hippocampus means "horse sea-monster" in Greek.) Robert Clark, a neuroscientist at the University of California, San Diego, played up the resemblance in this image. 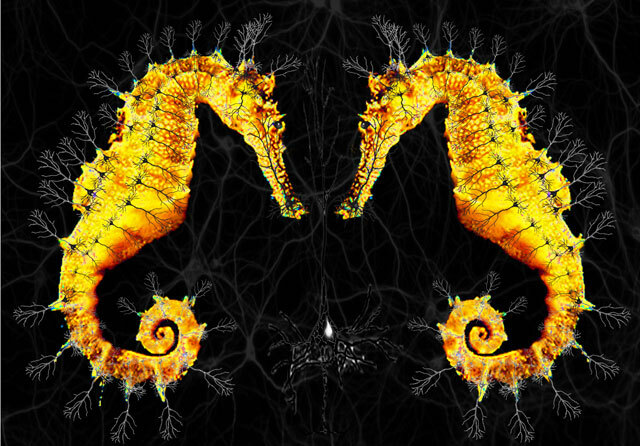 Clark digitally added images of real hippocampal neurons to a pair of gold seahorses. The seahorses are oriented as they would be in the human brain. Alaska's coastal glaciers are among the most rapidly changing in the world. They're also, as Alaska Climate Science Center communicator Kristin Timm says, "more than just ice." 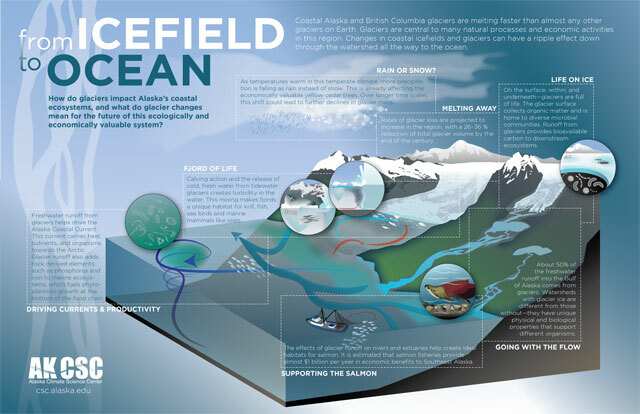 Glacial runoff drives and stabilizes ocean currents and supports the habitats of salmon that local fishermen rely on. 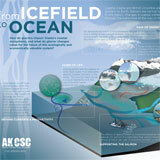 So Timm collaborated with glaciologists and ecologists at the center to design this poster, which illustrates the impact of ice fields on both people and the environment. 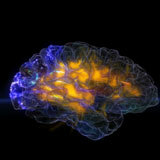 Part education tool, part neuroscience party trick, the Glassbrain app was first used on stage in 2012 on Mickey Hart, former drummer for the Grateful Dead, to show his brain reacting to music. A cap detects the different types of waves and signals pinging across the user's brain. 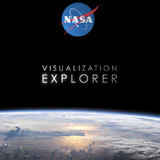 The app then displays them in real time on a 3-D image built from brain scans taken earlier. Right now, the app is not sophisticated enough for clinical applications--it's mainly used for education and entertainment. But Roger Anguera Singla, one of the app's programmers at the University of California in San Francisco, hopes to build in value for medical professionals, too--for example, to allow neurosurgeons to "fly inside" a functional brain and better plan an upcoming surgery. Scientists at NASA collect reams of data about Earth and its place in the universe, data that's mostly used for scientific study and often doesn't find its way to the public. 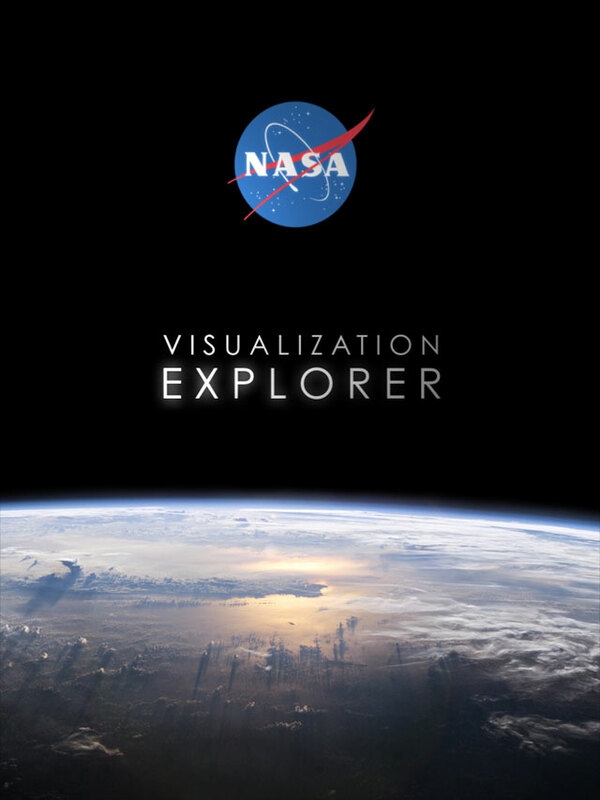 Last March, a team of science-visualization experts and programmers at the Goddard Space Flight Center in Maryland released this app, which publishes visualizations from several NASA centers and other agencies twice a week. For many, the phrase "chemical reactions" conjures memories of tedious laboratory work and equations scribbled on exams. But Yan Liang, a professor at the University of Science and Technology of China in Hefei, sees art in the basic science. Last September, Liang and a few colleagues launched beautifulchemistry.net to highlight aesthetically pleasing chemistry. 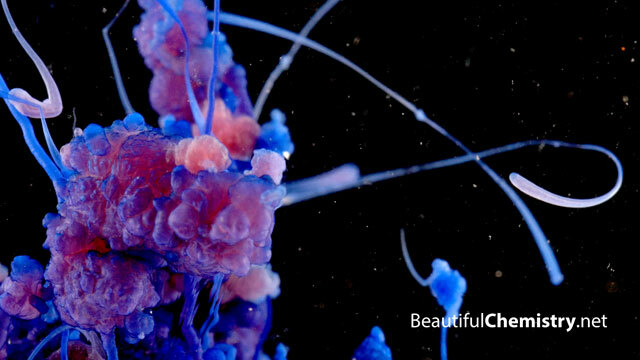 They then compiled a video showcasing crystallization, fluorescence, and other reactions or structures shot in glorious detail. Liang says that finding experiments that meet their visual standards has been a challenge. "Many reactions are very interesting, but not beautiful," he says. "But sometimes, when shot at close distance without the distraction of beakers or test tubes, ordinary reactions such as precipitation can be very beautiful." 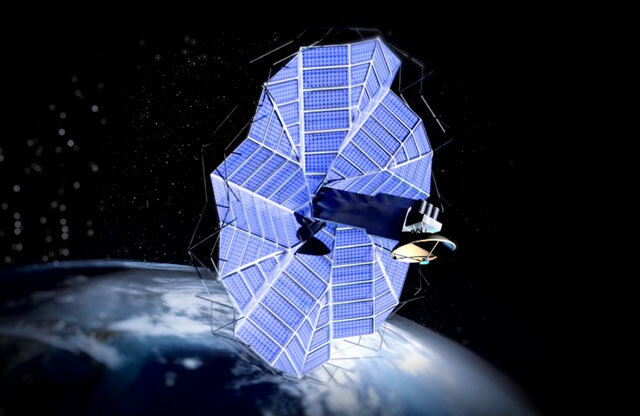 Engineers use origami principles to design spacecraft solar panels and other devices that flex or unfurl, as in this video by a lab at Brigham Young University. Larry Howell, the team leader, says the work is just plain fun. 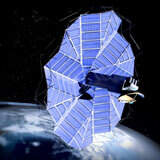 "There's so much potential for applications. These things can really make a difference."